Mavic Air Camera Test: How Does it Compare to the Mavic Pro and Spark? DJI is turning out ground-breaking consumer, professional, and “prosumer” drones at an impressive rate. Thier latest consumer model, the Mavic Air, is the most compact consumer model yet. There is no doubt that the Mavic Air is groundbreaking, but is its camera groundbreaking too? After all, the Air shares very similar specs with the lower-cost Spark and the prosumer Mavic Pro. We put all three cameras to the test to find out where each excels. We even did a comparison to the new iPhone X! The 3-axis gimbal of the Mavic Air is the most compact 3-axis gimbal on the market. In this article, we will walk you through the various camera metrics we measured. Our comparisons include metrics like sharpness, color, distortion, and dynamic range among others. The photos we took are even available for download so you can compare for yourself. As you can see, our image target is well lit. A total of 16 100-watt equivalent bulbs are used. Note that all images and videos were taken with each drone’s default settings, RAW images were not used. With the exception of the low light comparison, all exposure settings were automatic, no manual controls were used. The images were unedited except where noted. We use this test target for many of our comparisons. You will see we crop the image to zoom in and see the fine details. When it comes to cameras, sharpness is king. Achieving a sharp image over the full field of view of a camera is the primary challenge of lens designers. Most drone cameras are pretty terrible – DJI cameras, on the other hand, tend to be very good. To tell the difference between the Mavic Air, Mavic Pro, and Spark you need to zoom way in. In the comparison below we are looking at just 1% of the area of the image. The default settings on the Mavic Pro have too much artificial sharpening, but overall the Mavic Pro has the sharpest image across the full sensor. In addition to the center of the image, we took a look at our favorite cute drone-chewing baby. Take a look and see which image shows the most detail. The Mavic Pro shows more detailed features than its little brothers thanks to a sharper image. Look at the text on the drone, the details of the headband, and the edges of the yellow toy. Overall, the Mavic Pro is the sharpest image over the full field of view. You will see this again in the next section, where we take a look at the corner of the image. Some of this is due to the Mavic’s (overly) aggressive image sharpening that it applies, which can sometimes give its images an over-processed look. This is not an issue when shooting in RAW or when using some of the other JPEG modes. Regardless of the processing, the Spark is just not as sharp, and the Mavic Air struggles a bit in the corners of the image compared to the Mavic Pro. The fisheye effect is when straight lines look bent across the width or height of the image. The technical term for this is “distortion.” In the case of wide-angle lenses, we typically see “barrel” distortion (as opposed to pincushion distortion). DJI has historically corrected any distortion in the lenses. The correction can be done digitally with some minor loss in image quality and field of view. For some reason, DJI didn’t completely correct distortion on the Spark and Mavic Air. The Mavic Pro has the only camera with close to zero image distortion. This would be a good time to mention the strange images taken by the Spark. While I perfectly lined up the image target with all three drones, the Spark takes a wider field of view image, which will be randomly off center. For any given picture, you have no idea on which edges of the picture you will get more field of view. The cropping in live view is because the Spark uses electronic image stabilization in the yaw axis. The Spark constantly needs to crop the displayed image. The downside is that the picture you see on your screen when flying is never the same as the picture you will get when you take a photo. The distortion on the Mavic Air is certainly nothing like the extreme fisheye you see on a GoPro in “Wide” mode. This comparison was done on our older image target. We were surprised to see that the Mavic Air has the most extreme barrel distortion of any of the three drones. It is particularly apparent in the corners. While it is noticeable when looking at an image target with a set of perfectly straight lines, we doubt you will notice this effect in practice. The distortion from an uncorrected GoPro, on the other hand, is quite extreme. Color profiles are the black magic of modern digital cameras. What looks best is sometimes more a matter of opinion than fact. We tested color using a brand-new target of colorful cars and lighthouses. We found that the Mavic Air seems to be a bit oversaturated with yellow colors, while the Mavic Pro showed yellow as a bit pale. Of these three drones, we actually like the balance from the Spark the best, at least with this test shot taken indoors. Note that the image quality of a website is not perfect. You can download the original images and judge for yourself. The Spark was the only drone of the three that seemed to get the colors just right. As you will see in a later section, the drones are pretty comparable in some outdoor settings. That said, we have certainly seen the Mavic Pro produce some images and videos that have saturation, contrast, and sharpness all dialed up way too high. Dynamic range is how well a camera can see both really dark and really bright parts of a scene. Humans still outperform cameras in this regard, so photographers are always searching for cameras that can better represent our experience. It is common for pictures to show all dark parts of an image as black, hiding the subtle details. Alternatively, some pictures have good dark details but all the brighter parts of the image are washed out and lack definition. One way around this is to combine two or more images taken with different exposures to create an HDR (high dynamic range) image. The Mavic Air is the first DJI consumer drone to include this capability. The differences are subtle, but the HDR image from the Mavic Air does the best job of showing lights and darks. As you can see, all three drones fail to clearly show the brightness gradients at either the light end or the dark end of the image. The Spark had a higher exposure, so it was the only camera to miss on the bright end of the image. The only image that captures all of the subtle brightness differences is the Mavic Air with HDR turned on. The Mavic Air takes three separate pictures, one with normal exposure, one with half the exposure, and one with double the exposure. The Air saves all three pictures, just like AEB (auto exposure bracketing on the Spark and Mavic Pro), but it also combines them in an HDR image so you don’t need to do it yourself on a computer using software like Adobe Lightroom. These images were the result of an AEB burst using the DJI Spark. Exposure bracketing is a good idea in general. HDR images combine the best of the lights and the darks. Here at Half Chrome, we have learned that you can’t always trust manufacturer’s statements about how wide their field of view is. It is common, for example, that some drones have very different equivalent focal lengths for videos than they have for photos. So we test the horizontal field of view by measuring how far the camera of our quads is backed away from our image target. The GoPro has a super wide field of view (and a lot of fisheye effect). The Phantom series has a wider field of view than DJI’s consumer models. Most people are very familiar with their cell phone cameras, so we included the iPhone X in our table. All the DJI drones have a FOV that is wider than the iPhone but only by a few degrees in most cases. We also included the Phantom series drones for reference, you will notice they are a bit wider still. The Mavic Pro and Mavic Air are about the same for photos and videos, so we spared you those details. The Spark, on the other hand, is much more narrow when taking video. This has to do with the Spark using some of the extra FOV for image stabilization since it only has a 2-axis gimbal. We like wide angle lenses on our drones so we give the edge to the Mavic Air in this category. The Mavic Air, Mavic Pro, and Spark have similar fields of view except for the Spark when capturing video. Low light performance is all about how much light you can get on the image sensor. To get the most light you want a large aperture (low f/number) and a large sensor. It also doesn’t hurt to have a top-notch up-to-date sensor, since sensor technology is always improving. The Mavic Air may have a new sensor, but let’s see how it compares. Our low light test is done with very little light on the image target. A light meter read just 12 Lux. Note: For this test, I had to set the ISO and shutter speed to be the same on all three cameras. When I didn’t do this, the three drones do wildly different things in low light. (The Spark tried to compensate with a super-long exposure, while the other two cameras tried to stay more true to the dark scene). The Mavic Pro has the lowest f/number so it looks the brightest with the same ISO and shutter speed. Note that the image quality of a website is not great. You can download the original images and judge for yourself. It’s no surprise that the Mavic Pro wins here. With an f/2.2 lens, the Mavic Pro gets 60% more light on its sensor than the Mavic Air. Clearly, the Mavic pro ends up with the brightest and most clear image. If you already own a Mavic Pro then you should be happy with your purchase, we think it has the best overall camera quality. And if you don’t have a Mavic Pro you should wait! The Mavic Pro 2 is coming soon! The Mavic Pro is similar to the other two drones, but at the end of the day, it just has the sharpest image across the field of view. With the Pro, you do need to play around with the settings to make sure you get what you want. We like the wider field of view on the Mavic Air and we find it to be more user-friendly for everyday use by everyday people. The Spark looks good due to a higher default exposure, but overall you can’t beat the sharpness and quality of the Mavic Pro. While we give the Mavic Pro top marks for camera quality, we slightly favor the Mavic Air for video. Why? The Mavic Air is just easier to use. While some people like the easy exposure adjustment and tap focus of the Mavic Pro, we actually find both to be quite annoying. On the Pro, it is all-too-easy to accidentally bump the exposure adjustment in the middle of a video and ruin it. It is also basically impossible to judge exposure when looking at a cell phone screen, especially in bright sunlight. We prefer to let the drone’s auto exposure choose for you. It is also all-too-easy to forget you need to tap to focus the Mavic Pro, leaving you with blurry footage. The higher f/number on the Mavic Air puts the whole world in focus in exchange for slightly worse low-light performance – we think that is a good tradeoff in favor of the Mavic Air. We expect the Mavic Pro 2 to have the best of both worlds with settings optimized for both amateur and professional users. Of course, the Spark can only record in 1080p, so it was never really a contender for best video quality. We expect the Spark 2 will record in 4K, a feature that was somewhat annoyingly (and artificially) left off the Spark. Which Should You Buy? 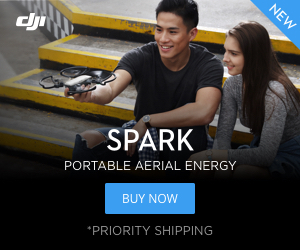 Spark, Air, or Pro? All three drones are leaders in their price class. Even though the Mavic Pro has arguably the best camera, we can’t recommend you buy one today. Why? Because the Mavic Pro 2 is right around the corner! The Pro 2 should have a larger image sensor, better default settings, better autofocus, and generally be the best prosumer drone camera on the market. (And that’s just the camera.) The Mavic Air, on the other hand, is the clear leader in compact consumer drones. None of these cameras disappoint in image quality, so if you want to stay under $500, the DJI Spark is the way to go. The Mavic Air is the best bang-for-your-buck, but the Spark is a great camera for less money. 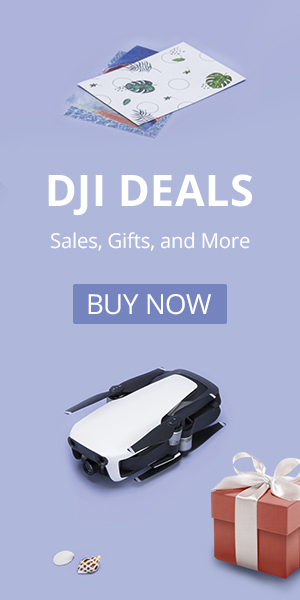 If you are a pro then save up for the Mavic Pro 2. Is There Room for DJI To Improve? DJI Makes the best consumer camera drones, but do they make the best compact consumer cameras? We compared the best camera, the Mavic Pro, to one of the best Smartphone cameras on the market, the camera on the iPhone X. Despite having a smaller sensor, the camera on the iPhone X is just amazing. The color profiles, sharpness, and low-light performance had me speechless when I was testing them next to these drones. We hope that DJI can continue to learn from the compact camera leaders like Google and Apple so they can get us even better pictures in the future. Get ready for the Mavic Pro 2 and the Phantom 5!